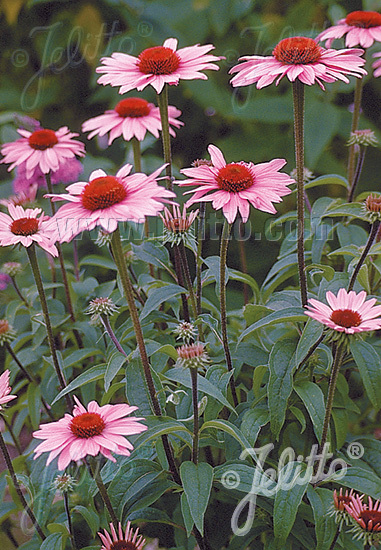 Selected as Perennial Plant of the year from the PPA (Perennial Plant Association). Special Features: The rose-purple flowers are arranged more horizontally than the pendulous, or drooping, habit of the wild species and other seed strains. Durable, low maintenance perennial. Very long lasting as cut-flower. Will produce 2 - 3 flowers the first year, 6 - 8 / 2nd year, up to 15 / 3rd year. 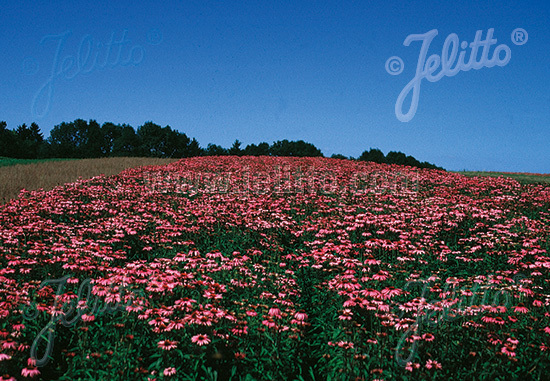 Perennial Plant of the Year 1998 in North America. Perennial Plant of the Year 1998 in Sweden. Historical: The result of over ten years of careful selection by Swedish nurseryman, Magnus B. Nilsson. In 1982 Mr. Nilsson offered the result of his successful breeding to Klaus Jelitto. Klaus called this cultivar 'Magnus' to honor the breeder. 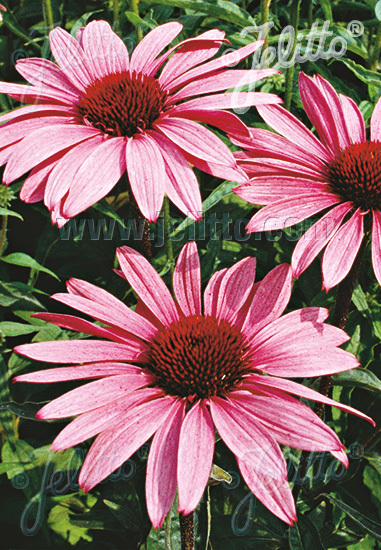 Production was begun and Echinacea 'Magnus' was introduced in the 1985 Jelitto catalogue.